It is not rare to get that feeling of disappointment after you have just walked out of your barber’s shop. You are not alone on this ship! It happens with a lot of men that they don’t actually get what they had in mind when it comes to those precious and sometimes unruly locks of yours. And that’s why you need to know How to Explain Your Barber to Get The Haircut You Want. While you are at it, get these few things for yourself too. Your barber wouldn’t know what’s in your mind unless you tell him what exactly it is that you want to be done to your hair. Your perfect hairstyle is in your hand. So decide first which hairstyle it is that you want and speak your heart out. Telling your barber what you exactly want with your hair is not a crime. And if your barber gets offended and shuts you up with his phrase – “I know my job,” then you need to find a new barber for yourself. Also, never hesitate in telling what’s in your mind. Your barber’s job is to cut your hair, not read your mind. 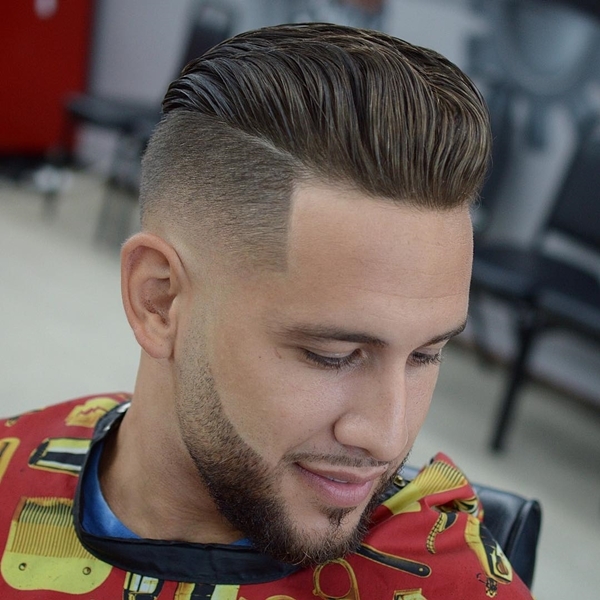 Be specific about everything and every detail that will help your barber in getting a better picture. 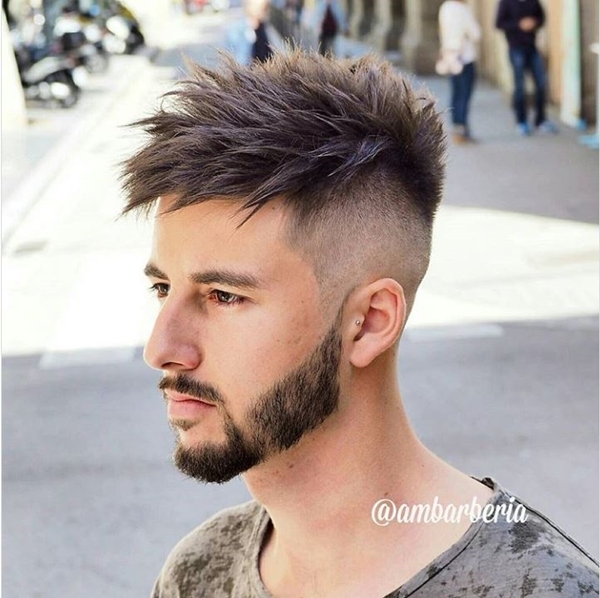 Speaking of picture, it will be a much better idea if you give him a visual reference about a certain haircut that you are hoping to get. And you could get pictures of different haircuts very easily at just one click. There are certain things that you must follow while visiting your barber. 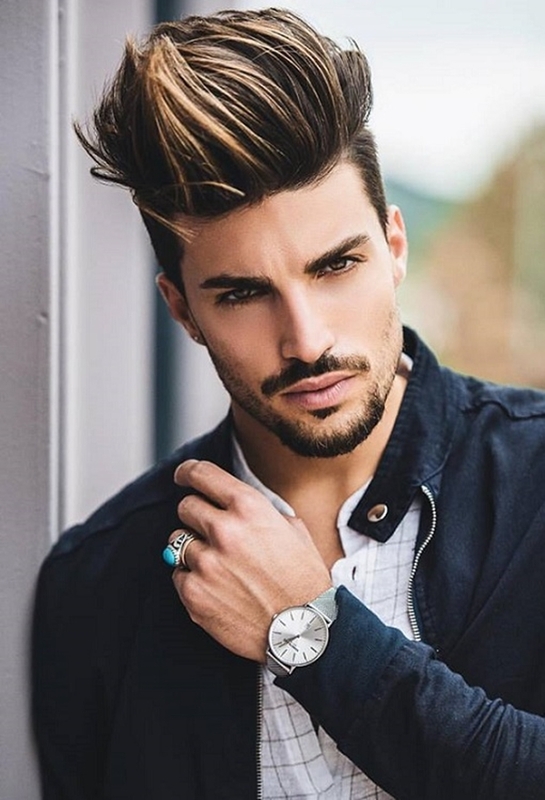 In order to tell him what do you want him to do with your hair, it is quite important to know a few specifics about different hairstyles that you are aiming for. Also if you are a beard fan, check this out. 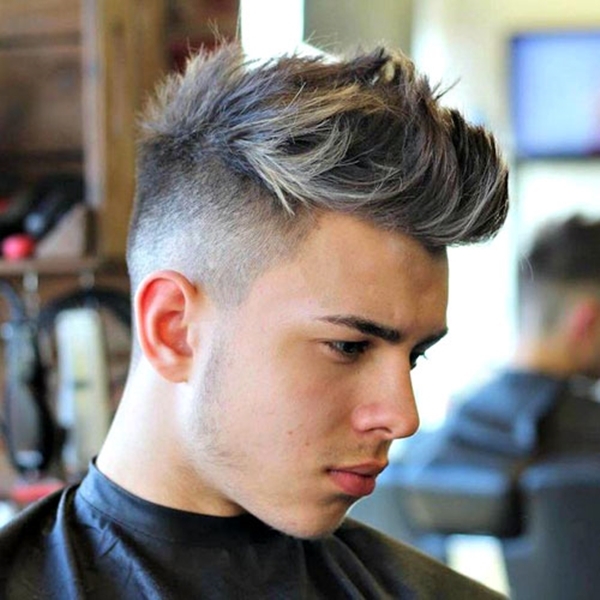 Pompadour – Pompadour haircut is one of the most famous haircuts of all. 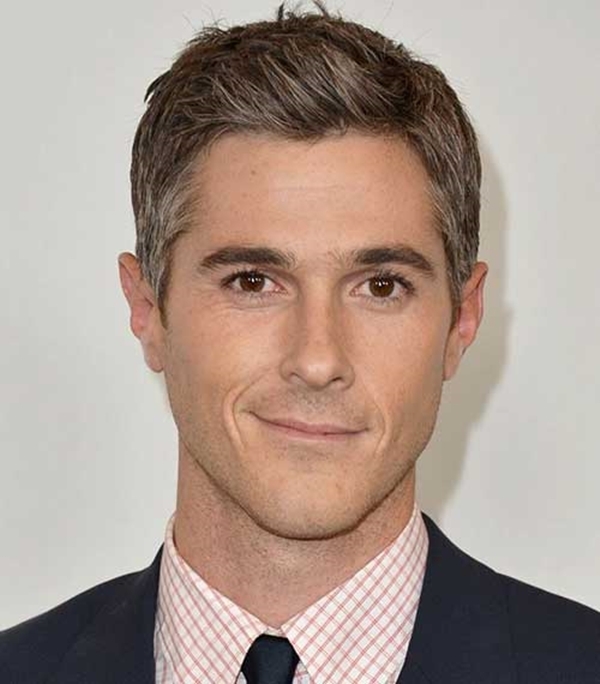 The hair is grown to a medium length and then it is slicked back. 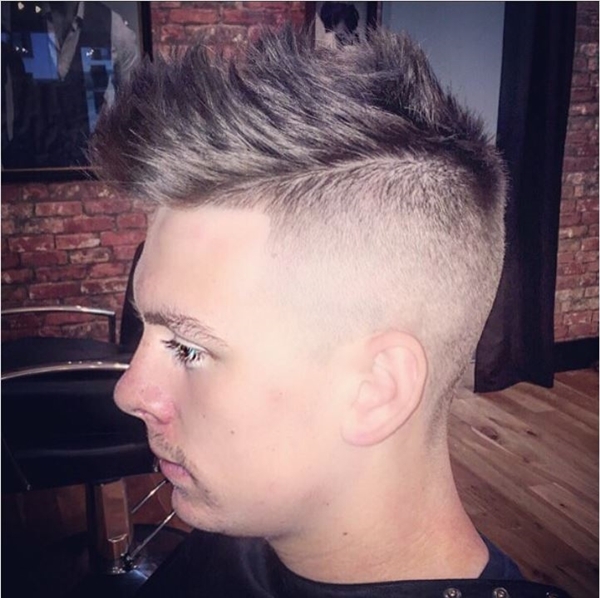 For a more stylish look, ask your barber for a low fade or a tapered fade. The final picture is such that the hair at the top of your head is longer than the sides and falls at the back. If you are also a fan of mustache like this big guy, take a look here. 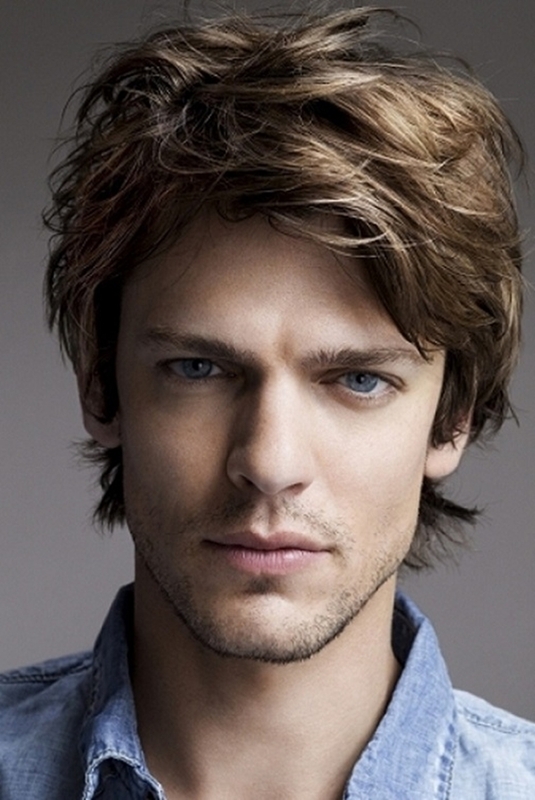 Fringe – The textured fringes give you that little messy and casual look. 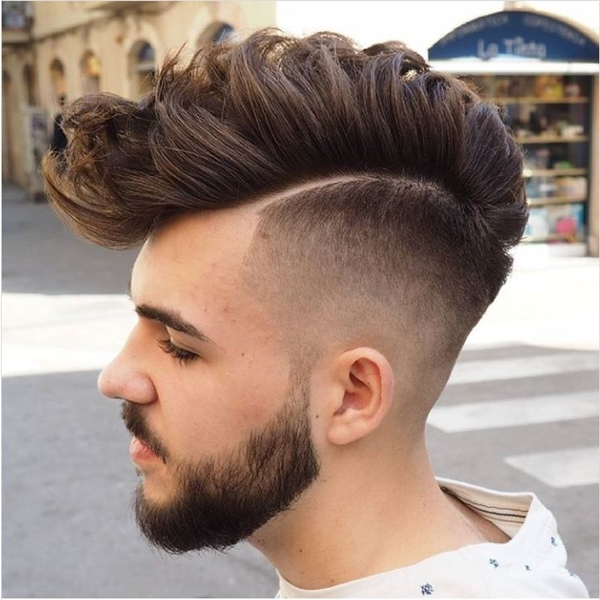 It is now considered as one of the best haircuts. 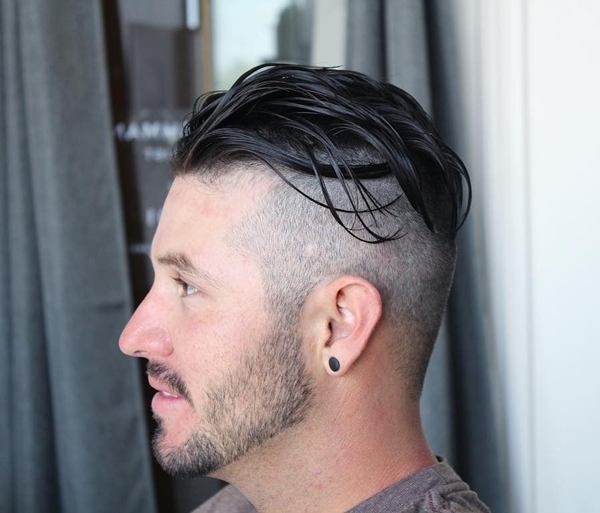 Undercut – This is the cut that is in rage these days. 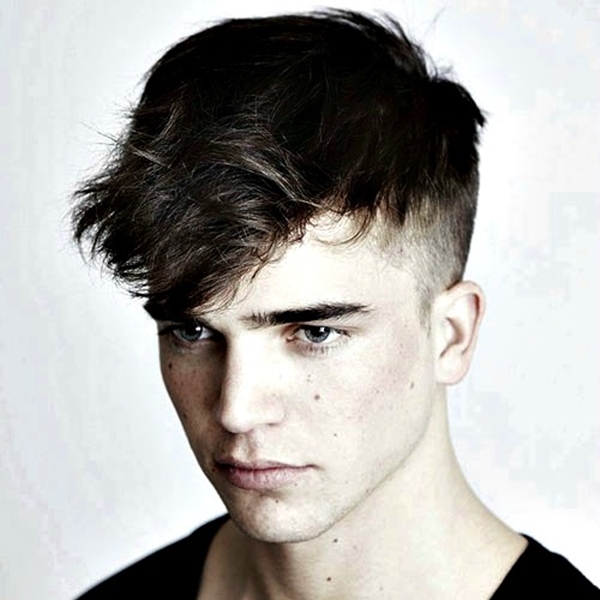 The undercut splits the hair of your head in such stylish way that the outcome is worth looking at. The hair at the top is kept long and that on the side is almost skin faded. 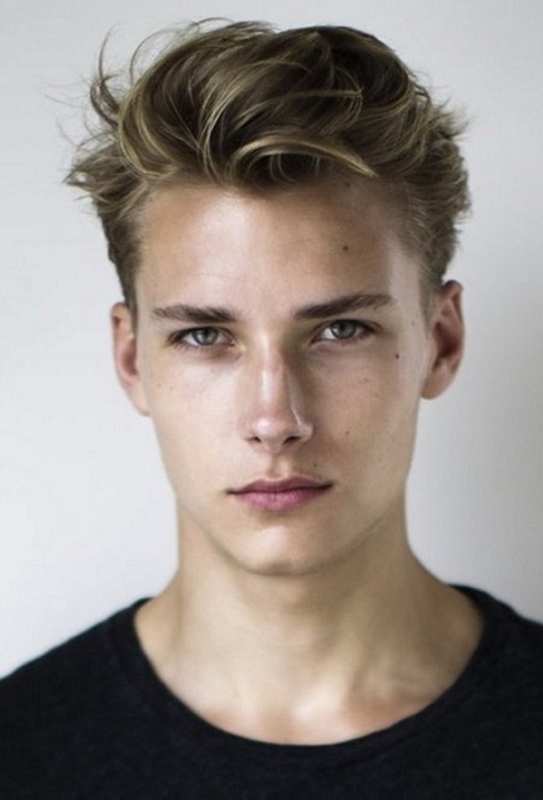 The undercut compliments with a lot of varying hairstyles such as quiff, pompadour or slicked back. 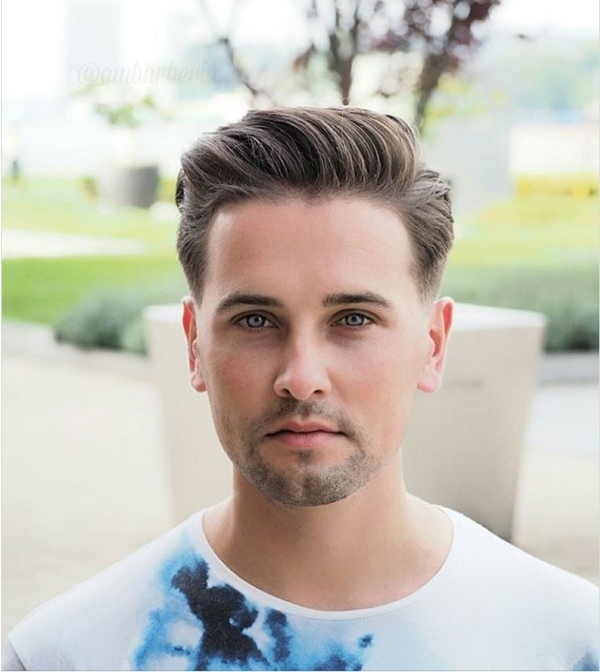 Asymmetrical – This is a perfect haircut for all occasions. Here the hair on one side is longer than the other side. 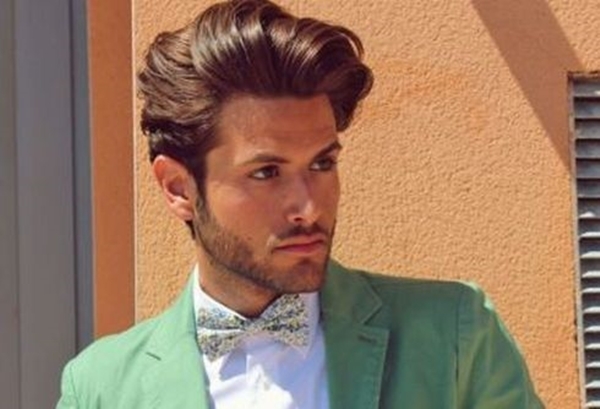 With a perfect styling, you can pull it off in every event. 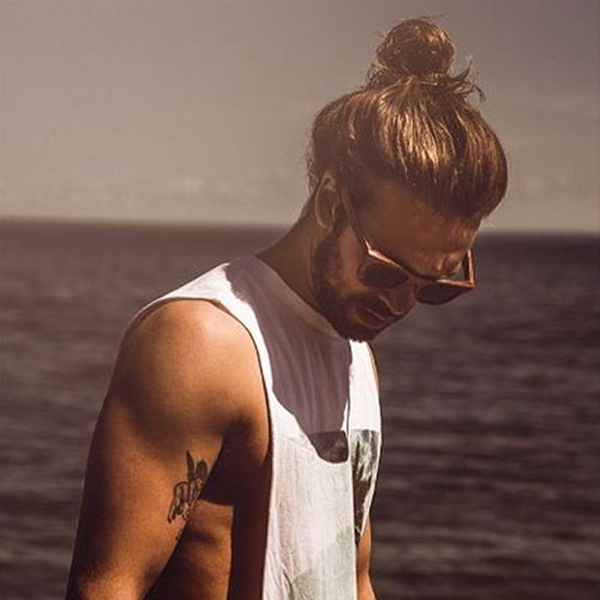 Man Bun – Men these days pull off a bun even better than women! 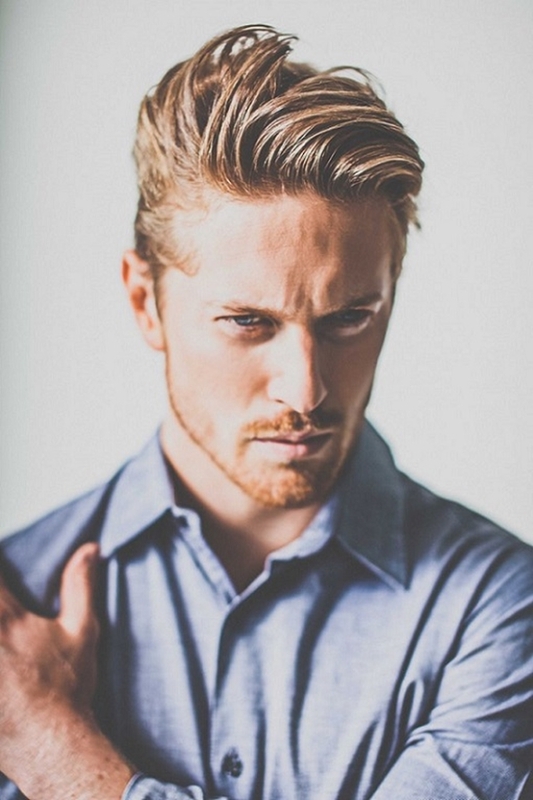 Man-bun looks hot but you must see if it’s something that you could pull off with confidence. 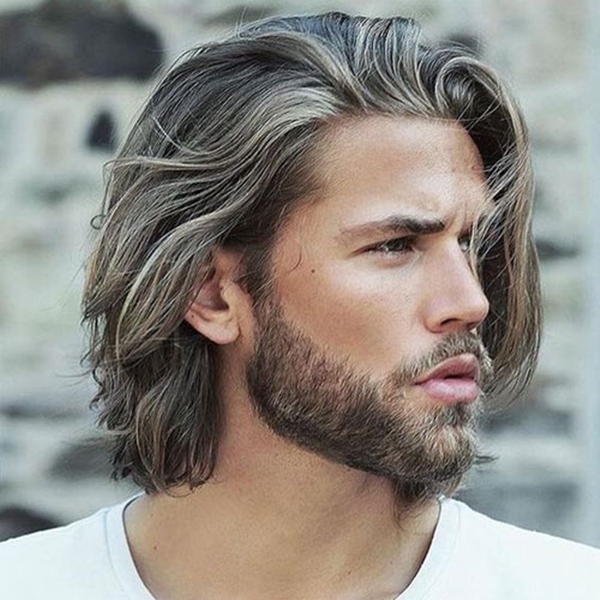 Your hair though needs to be long for this. 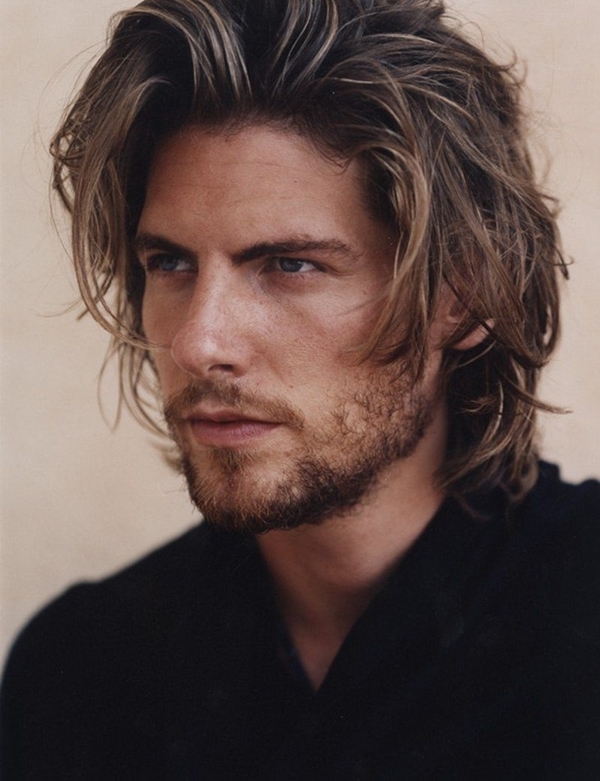 Long Hair – While waiting to grow your hair, you can pull different hairstyles with your unruly locks. 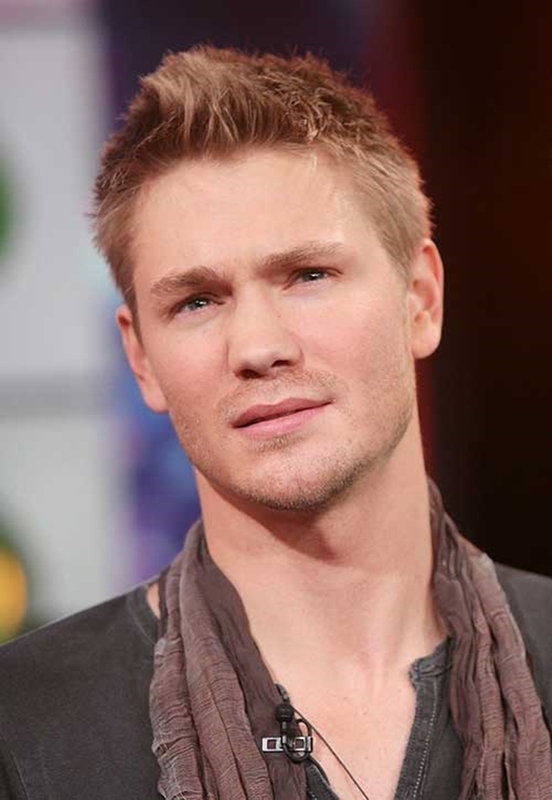 For straight hair, try slicked-back style and if your hair is a bit wavy you could opt for side-swept style. 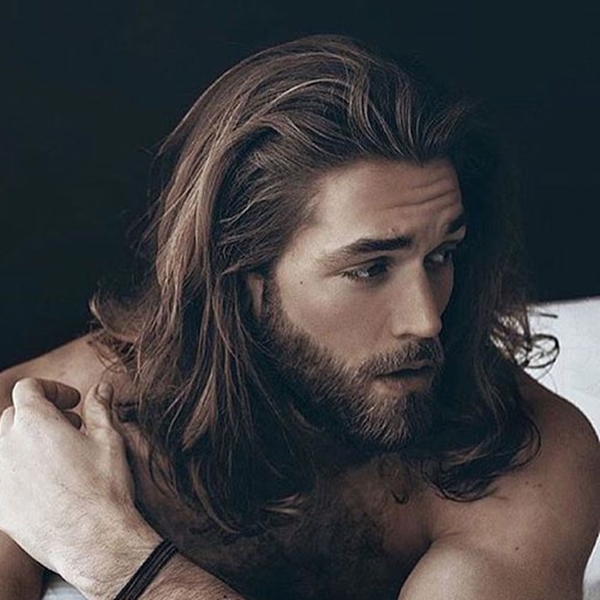 If long hair and long beard is your style then you must see this. 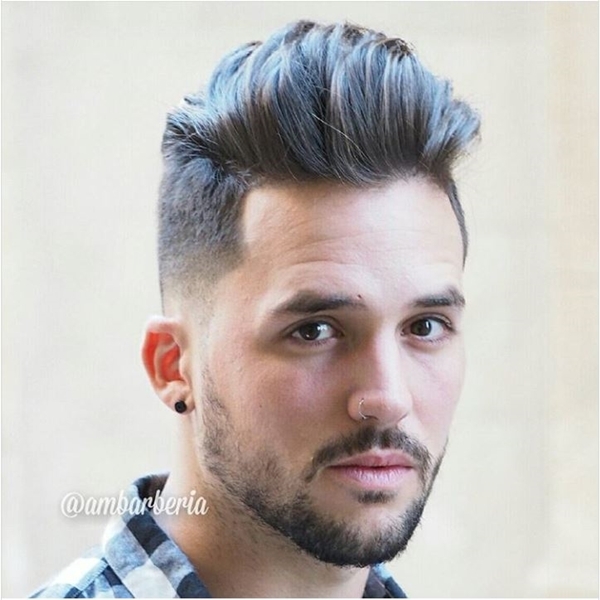 What is the difference between Taper and Fade Haircut? Well, there’s not much difference between the two haircuts. 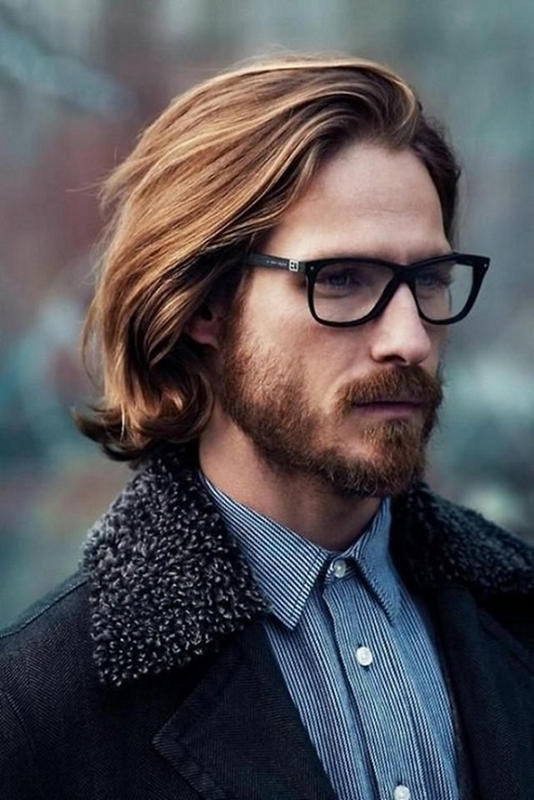 In both, the cuts, the length of the hair goes on reducing from long to short. But the biggest difference between the two haircuts is the length of the hair at the top. 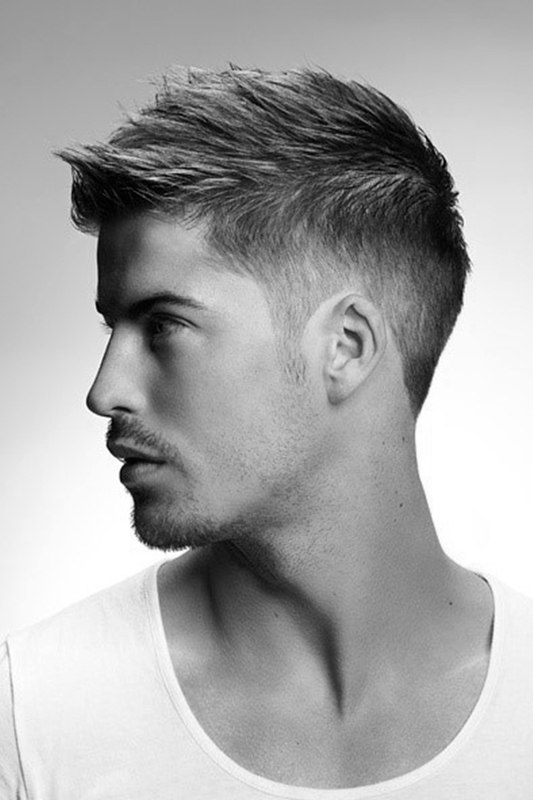 Where in Taper cut, the length at the top is about 2 to 4 inches; the length of Fade cut at the top is very short. 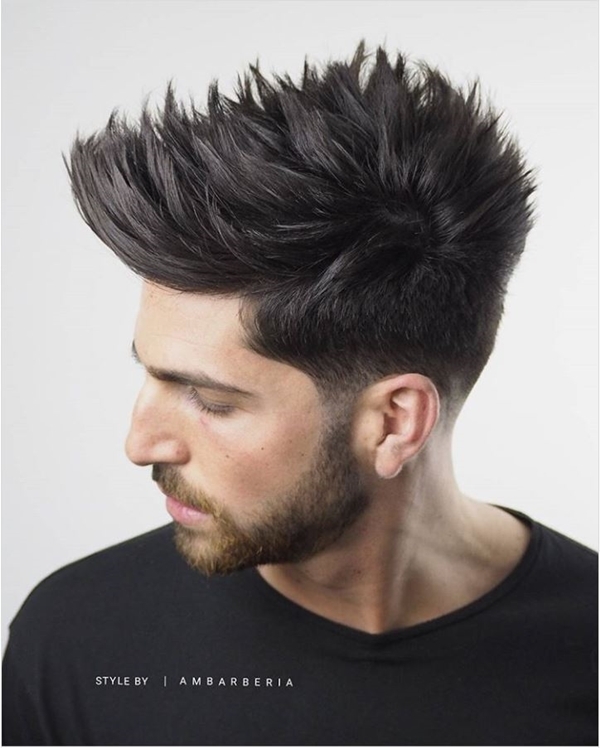 Also, the fade is of two types – Low and High Fade. 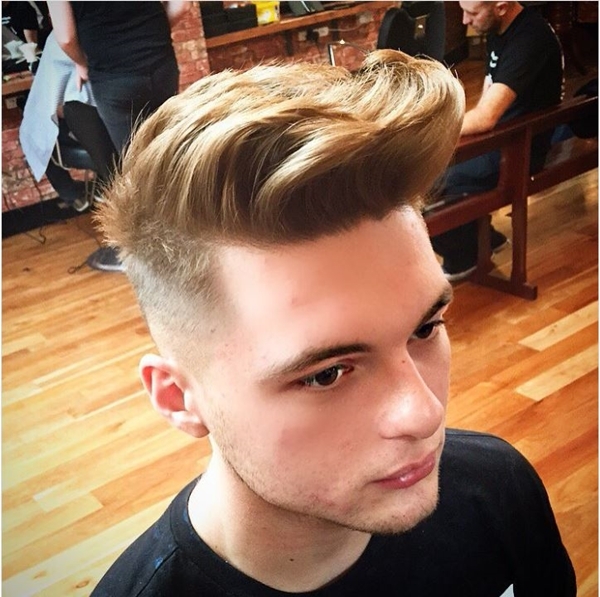 Low fade almost reaches the hairline whereas the high fade ends just above the ears. Speaking of a perfect look, learn how you can pull off suspenders in style. 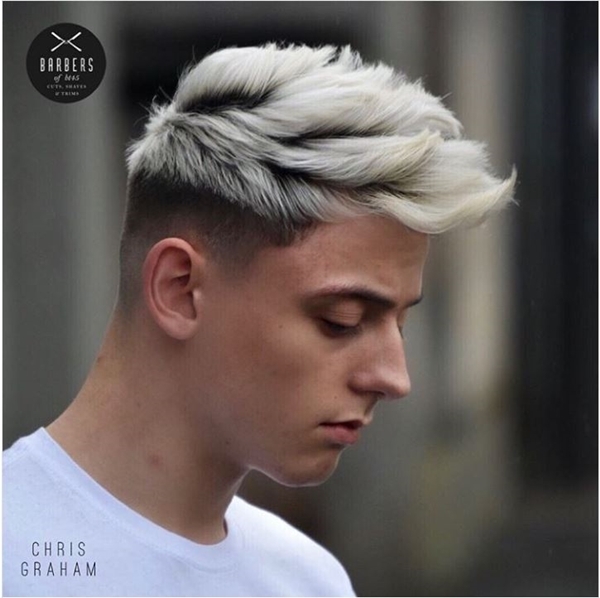 What is a Cropped Haircut? 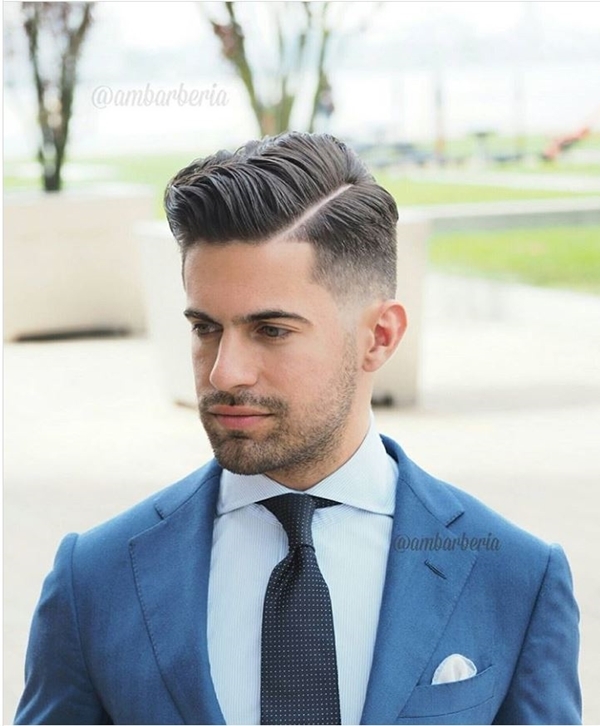 A cropped haircut is the one in which the hair on the sides and back are cut short but the length at the top is kept an inch or two long. 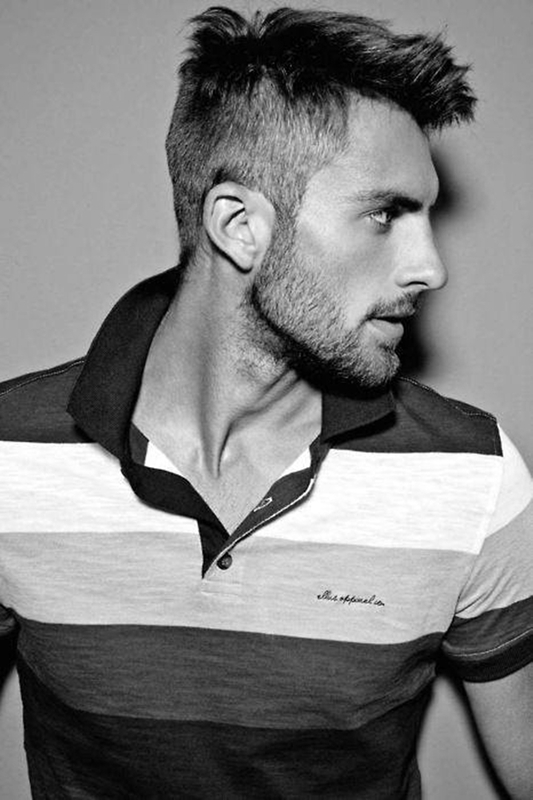 The buzz cut or military cut and the crew cut will come under this style. 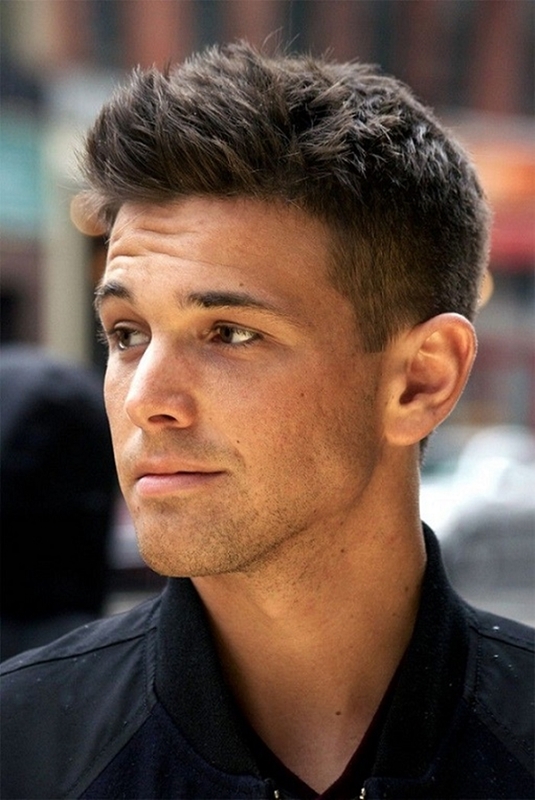 But the in the buzz cut the hair at the top too, will be cut very short. To sum it all, you need to do these few basic things. Talk to your barber and be clear what is it that you want. Tell him what kind of neckline that you want. Because yes, it is important. 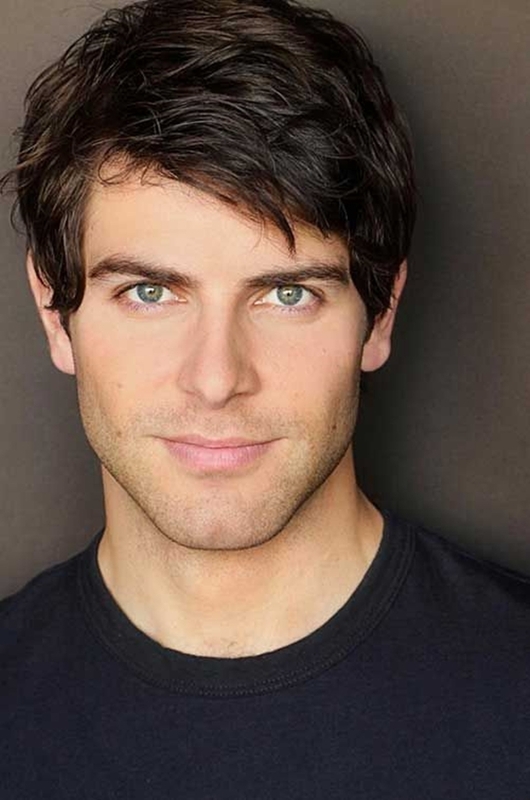 Tell him the type of sideburns that you want. 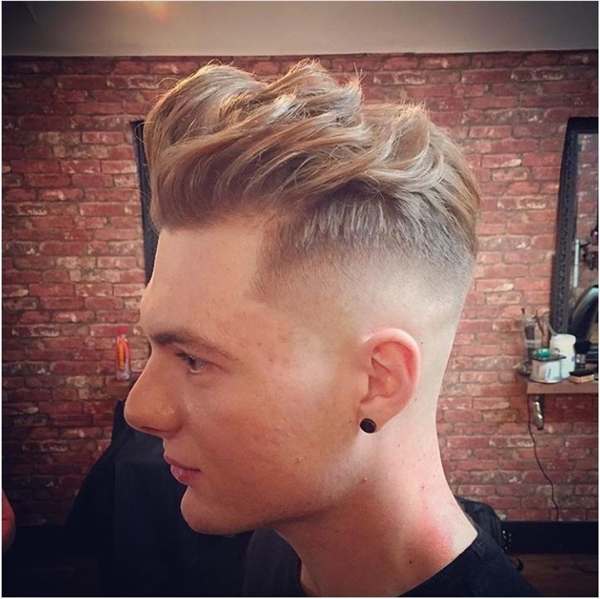 Tell him whether you want a fade or a tapered cut. 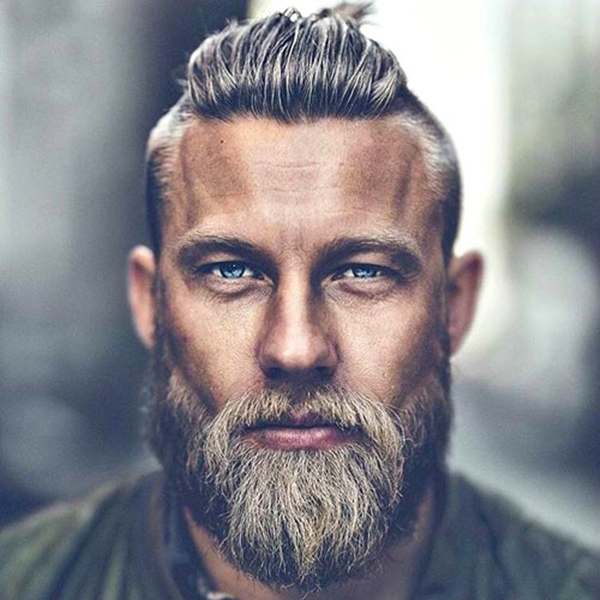 Rock your perfect haircut with these perfect beard styles. 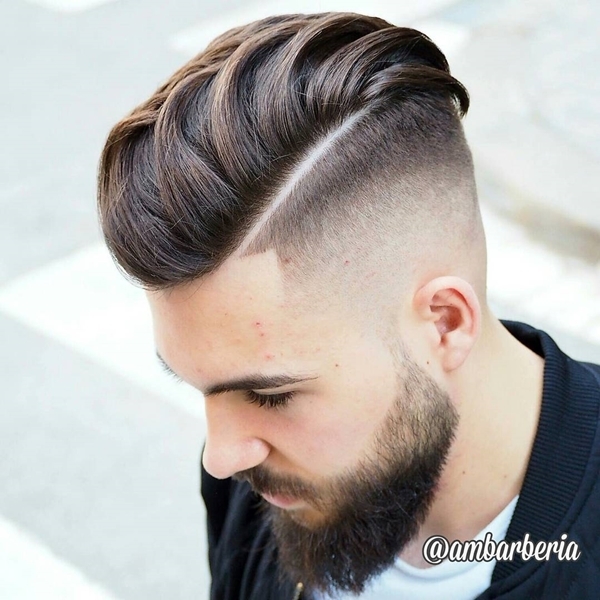 Follow these few basic things, and you will be a happy man walking out of that barber’s shop. 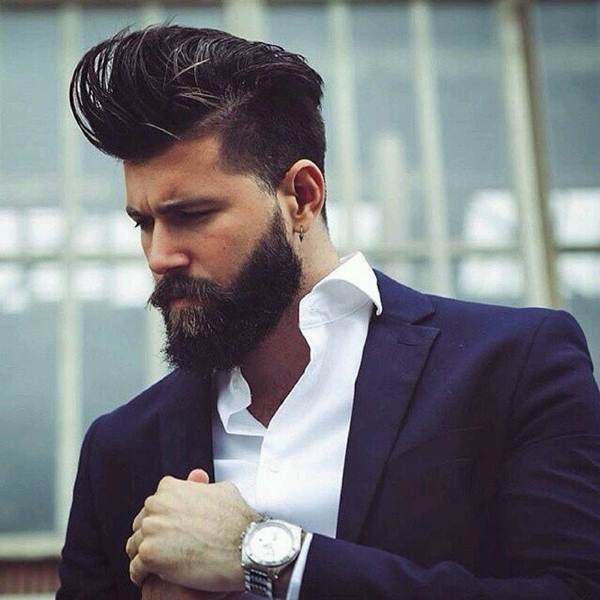 And if you have shaved off your head, rock your look with these great beard styles.